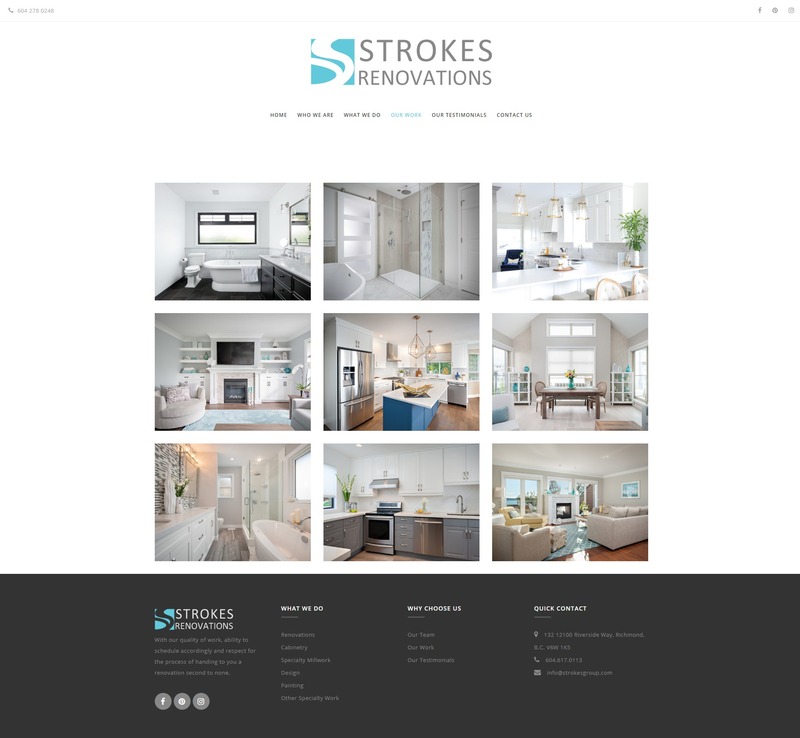 Strokes Renovations are an experienced team of craftspeople and artisans under one roof with the capacity to handle complete home, office or warehouse renovation projects. 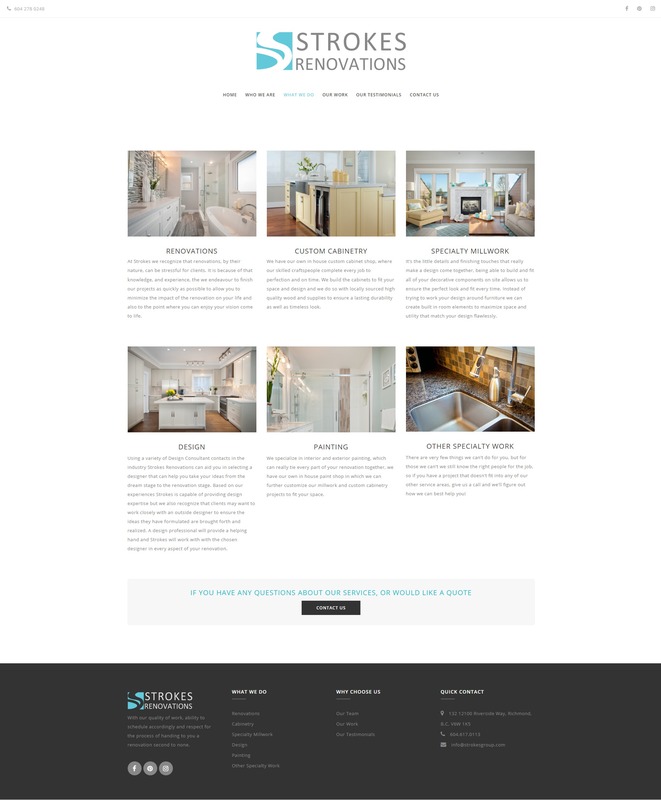 They Didn’t feel like their current site was doing its job showcasing their work and enticing new clients to hire them. 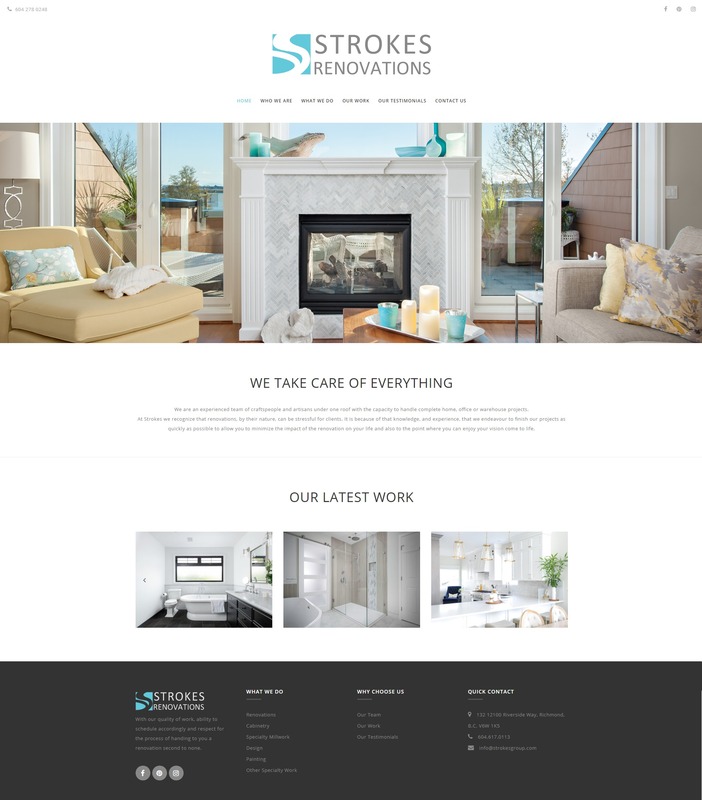 The first thing we did was rebrand them, their logo used to be red and white, their website had a black background and showcased details instead of finished projects. Their target market would respond better to a cleaner more modern look, we also update their logo colours to give it a softer more in-style look. We then created them a portfolio that really showcased the finished projects.